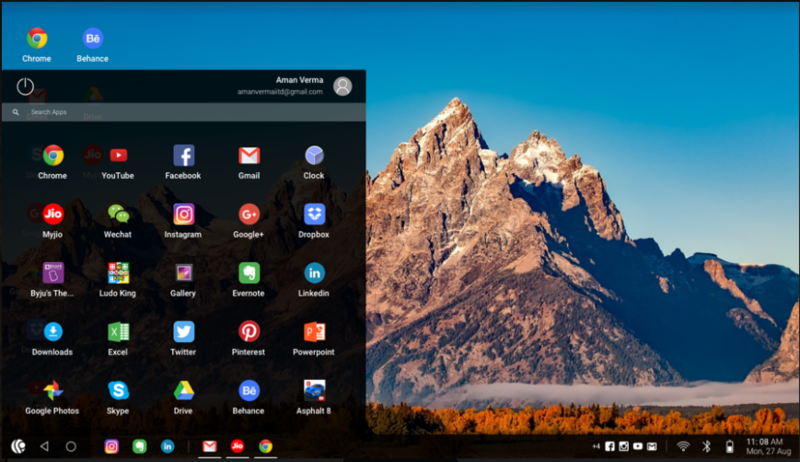 There are only a couple of handful Android OS for PC available in the software market those can be installed either on bare PC system or Virtual Machine for having the Android experience without compromising base OS such as Windows 10/8/7. Android is now one of the popular operating system available for small handheld devices like smartphones to big TVs. However, this smart OS somewhere still lacking behind when we talk about PC or Laptop computers. It is because Android primarily meant for smartphones. Although, there are few good emulators available those let you virtually install the Android OS on Windows operating system but not on a bare machine such as Bluestack and Memu. Moreover, you can also use the Virtual Machines to use the Android OS for both Windows 10 or Linux PC to experience it before installing it as your primary OS. In this article, we will talk about the free/opensource & best Android OS ( operating systems) for PC for both 64 bit & 32-bit systems. When it comes to run latest Android OS for pc then the Android-x86 is the one of the best open source Android project available for PC. Android-x86 OS project offers compatible ISO images for both 64-bit 32-bit computer systems. 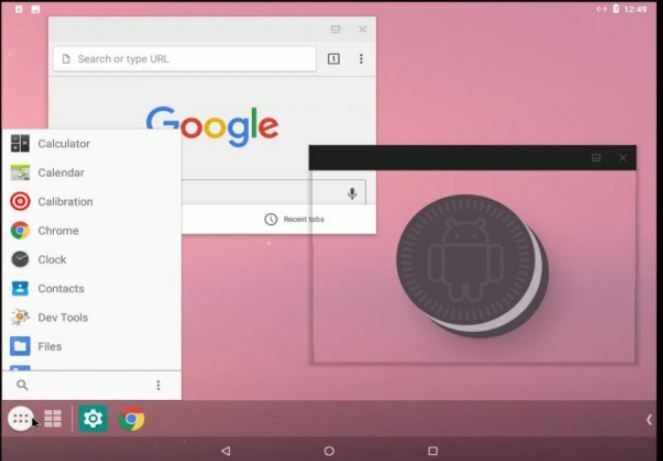 If you are about to install the Android OS on some old PC then it is recommended to download the 32-bit version… The latest Android OS they offer while writing this article was Android Oreo. The users can create a bootable USB drive with the Android-x86 to run it directly from the boot. 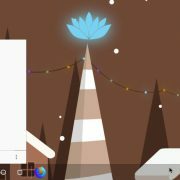 To get some feel like Windows OS, the user can Add the Taskbar which is a launcher comes with OS to get Start menu and recent apps tray in landscape devices. Furthermore, as there are no sensors in our PC systems to sense the portrait mode or landscape, developers enabled the ForceDefaultOrientation to run all portraits apps in landscape mode by default. It supports both 64-bit and 32-bit kernel and userspace, OpenGL ES 3.x hardware acceleration for Intel/AMD/Nvidia, VMware and QEMU, OpenGL ES 2.0 via SwiftShader for software rendering on unsupported GPU devices, hardware accelerated codecs on devices with Intel HD & G45 graphics family, secure booting from UEFI and installing to UEFI disk, Text-based GUI installer, Theme support to GRUB-EFI, Multi-touch, Audio, Wifi, Bluetooth, Sensors, Camera and Ethernet (DHCP only), Auto-mount external USB drive and sd card; Support arm arch apps via the native bridge mechanism. (Settings -> Android-x86 options). This Android OS for PC is an open source project licensed under GNU General Public License (GPL) 2.0 or later. 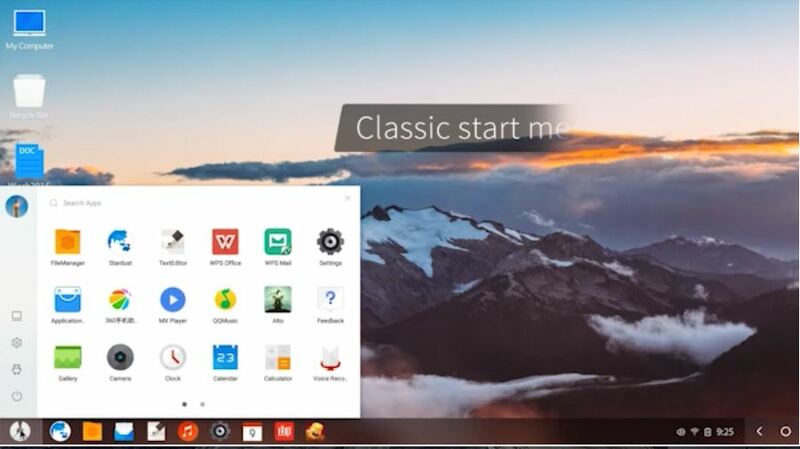 It is another best Android-PC based operating system with a much familiar interface that is easy to use as the Windows 10. The Phoenix OS current version is based on Android 7.1. It supports the keyboard and mouse in the same way as we use in the Windows, MacOs, or Linux PCs. It also features a few retro features such as desktop, multi-window, mouse, and keyboard operation, etc. Furthermore, the Shortcut keys support like Ctrl+C, Win+D, Alt+Tab, and Alt+F4. Beside common peripheral devices support it also has the ethernet compatibility to obtain an IP address automatically, manually configure IP, DNS, gateway, etc. You don’t need to download Parallel apps like applications to create dual instances of apps like Whatsapp, Instagram etc. It has an inbuilt function for that even a user can run identical apps in multiple windows cumulatively. To save the processing power the Phoenix system uses a strict management strategy. Phoenix Android OS for PC also imposes strict restrictions on implicit broadcast and background wake-up mechanism, which can effectively prevent the application from self-starting or waking up the device. It has the multi-browsing capability like PC and features the AD blocker too including three different user interface. For productive tasks, this Android OS for PC comes with a pre-installed version of WPS offices suite, Ever note and other applications to create documents, excel sheets, manage emails and more with large screen support… You can even play the games like Pubg, Asphalt, Fortnite directly on the PC with keyboard and mouse. The File management, Global search, built-in archiving and unarchiving support, LAN and Drag and drop support are also there. The Phoenix available in multiple formats one is for Desktop and other for tablets. It can be downloaded in the form of ISO image as well as .exe executable file for Windows. BlissOS Android operating system developed by a team effort of different developers such as Chainfire, CM/LineageOS, Android-x86, Jide, and the others. The BlissOS is for your x86-based devices which include desktops, laptops, tablets, maker boards and a lot more. It supports both BIOS/CSM and UEFI boot. The builds of the BlissOs are compatible with PC, MacBooks, and Chromebooks comes with CPUs from Intel and AMD, and GPUs from Intel, AMD, or Nvidia. 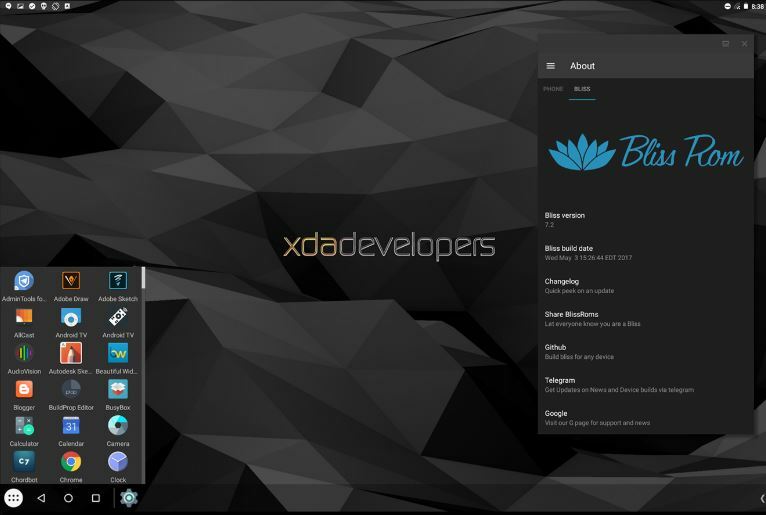 To give the more desktop-like feel the developers have integrated the Taskbar launcher developed by the farmerbb along with orientation app that force installed apps to start in the landscape mode. For gamers, the BlissOS includes Octopus. 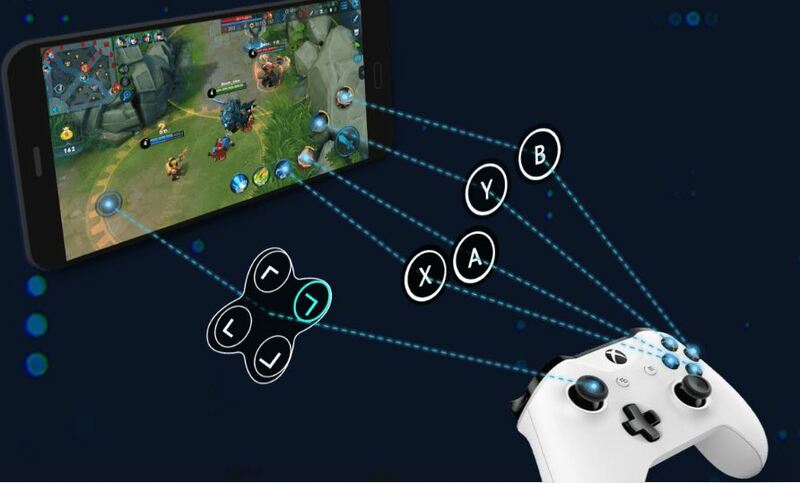 The Octopus is a solution that allows users to map the on-screen controls with gamepads, mouses, keyboard, developed by the Phoenix OS team. It can be downloaded separately to work with the above mentioned Android OS for PC too. However, it is still on its beta stage and also has glitches. OpenThos is the Android-based operating system which can provide a full-fledged Android X86 experience on PC with additional apps and functions. It is based on free and open source (Foss) Android OS called Android-X86, although the base of both PC Android operating systems is same, look and feel is quite different. The OpenThos looks very professional with Windows 10 like interfaces such as Taskbar, My computer icon and right side notification panel. 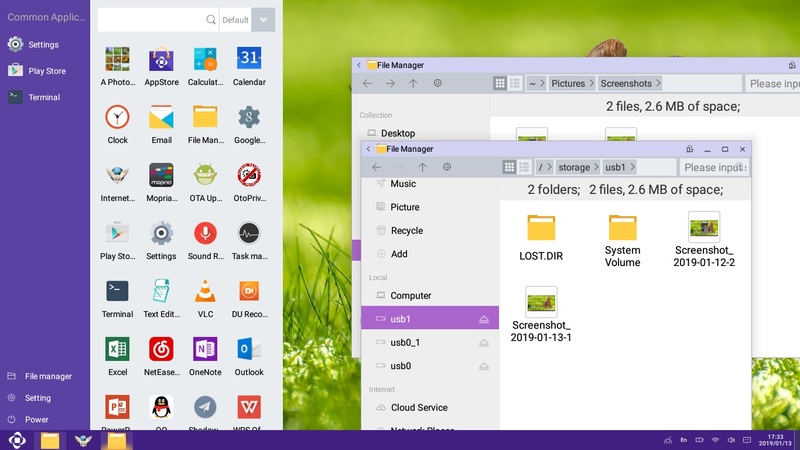 PrimeOS is an Android-based OS for Laptop/PC. It is also based on opensource Android x86 project. It enables you to experience Android with a complete desktop interface. PrimeOS supports the whole Android application ecosystem with the multiwindow feature. PrimeOS is also equipped with a key mapping tool which lets you set Android games controls to keyboard/mouse. Now play any Android game on any PC and make the highest score ever. It can converts your PC into an Android Machine with a much better experience than an emulator. The System Requirements for PrimeOS are: It supports a wide range of Intel/AMD based processors both 32-bit & 64-bit instruction system and UEFI & Legacy boot too. The minimum RAM it needs is 2GB and Storage is minimum 6GB. 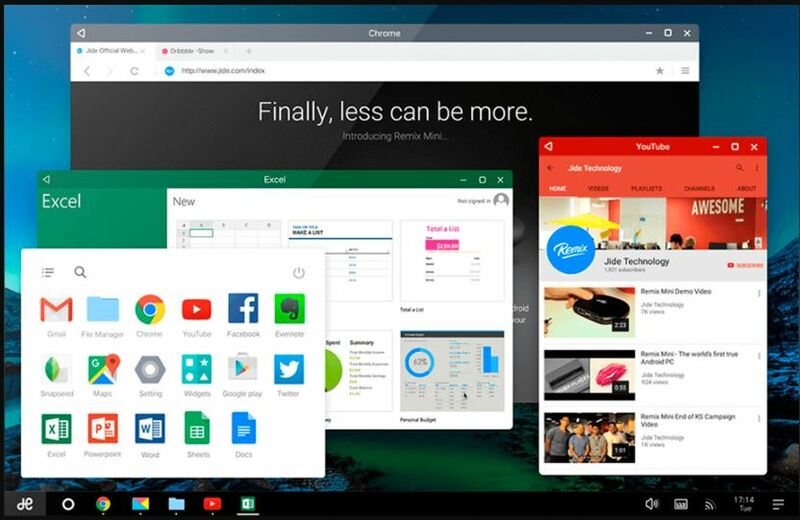 Note: The Remix OS has discontinued Android OS for PC and now getting no more updates. The developers have abandoned it to work on some other enterprise project, however, it is still available on the website to download. It was one of the best Android OS and if someone wants to experience it then he/she can. It is available for personal computers with x86 and ARM architectures. It allowed PC users to run Android mobile apps on any compatible Intel-based PC. The RemixOS is based on Android-x86 and available to free download, it supports 32-bit & 64-bit systems and UEFI boot. The system requirements of RemixOS is 2 GHz dual-core processor(at least), 2 GB system memory and minimum 8 GB of free hard drive space. The last update of this Android OS for PC was based on Android Marshmallow. Few other options to run Android on PC. Maru introduced a different approach to run Android on PC. It is available for some selected smartphones as firmware that once installed on the smartphone; it can be used as both smartphone and when connects to PC gives a complete desktop experience. Your phone runs independently of your desktop so you can take a call and work on your big screen at the same time. Just like the Samsung DeX. You can read more about on their official website. 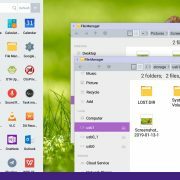 This is a not an Android OS as mentioned above but an approach to run the Android applications on the Linux desktops in the easiest form. It’s a Linux base that we can nest inside our session. OpenGL and graphics are all rendered on the host ensuring fast performance. Shashlik provides an incredibly stripped down Android base which boots directly into the loaded app, but with a running activity manager and daemons so that intents still work correctly. There is another Android based OS in the market with much better experience and performance.